The 90-year-old Bob Dorough and “Little” Jimmy Scott are among the last of the classic jazz vocalists: singers who phrase with genius, and express the lyric as nobody can; who plunge into character from the first notes; their voice a magical instrument that—in the case of Mr. Scott—a flute, or a soprano saxophone; even a piano played in the upper register for he is pitch perfect. 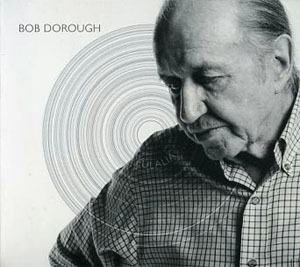 In the case of Bob Dorough his voice is a as husky and brazen as a horn—a trumpet, or trombone; an oboe, a saxophone or a tuba even a whole string section with its undulating and glissandos that rise and fall with ingenuity; and the sudden arpeggios that spell utter magic; all of this despite the fact that Mr. Dorough’s vocalastics and vocalese are generous to a fault; him being cut from the warp and the weft of a musical fabric that flows diaphanously right out of his proverbial horn of plenty. But when Mr. Dorough starts to sing a magical transubstantiation takes place. It is then that Bob Dorough becomes a proverbial condor; which means that while his fodder is music—earthbound music—he derives and provides the most glorious pleasure from soaring high above and mere mortals can only stand agape at the immensity of his world. At his advanced age, the mastery of music sometimes slows down, but not for Bob Dorough. His vocals have become a tad more grizzled and this has made his voice a lot more attractive. Moreover he is endlessly inventive. Who else could turn a reading from a Webster’s Dictionary into a mesmerising lyric as Mr. Dorough does in “Love (Webster’s Dictionary),” as he spins out a stylish love song. His weaving lyric into melody almost ends in “antonym: hate” as he all but finishing his sublime narration in a Shakespearean manner with a stab of an imaginary knife. He follows this up with a cynical song about “Whatever Happened to Love Songs” in his own inimitable wail as he bemoans the twisted state of love. In this and in “But For Now” he reveals some of the finest phrasing since Louis Armstrong. His expressive nature and his palpitating heart is also revealed here. 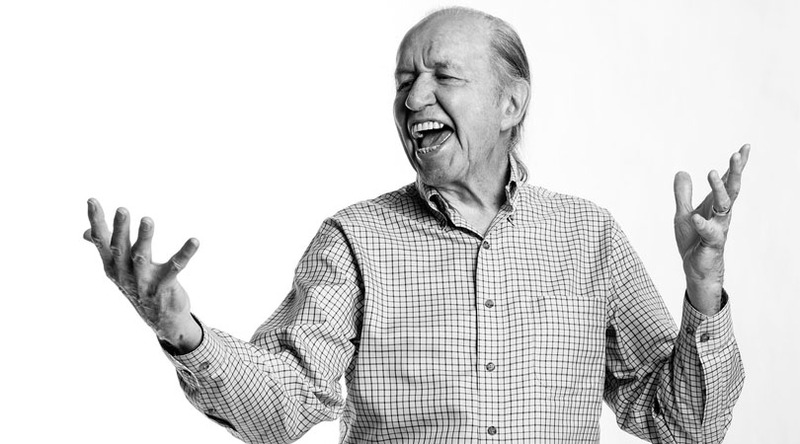 In those and all the rest of the repertoire Bob Dorough reveals his heartfelt, sentimentality and the fact that there is no one comparable to the vocalist—at least no one who can sing with his expressive cynicism and also his warm and moist sentiment—not even singers half his age. But Bob Dorough is one of those singers who belong to no age, yet all ages. He might have sung Broadway, with Sidney Bechet or Charlie Parker, the swing age and Benny Goodman; even Miles Davis, with whom he actually did and almost anyone in between. He is that timeless. Happily the album is made up of some fine performances by his daughter the flutist Aralee, Denis Dotson’s marvelous trumpet work, Phil Woods on alto saxophone as well as Thomas Hultén on trombone and tuba, and Warren Sneed on tenor and soprano saxophones. These magnificent performances inform the ensemble that backs up the ineffable Mr. Bob Dorough, one of the icons of modern music whose album Eulalia is truly unforgettable. Track List: Eulalia; Love (Webster’s Dictionary); Whatever Happened to Love Songs; But for Now; I’ve Got Just About Everything; A Few Days of Glory; Consummation; Eulalia Reprise. Personnel: Bob Dorough: piano, vocals, arrangements; Steve Gilmore: acoustic bass; Herman Matthews: drums; Phil Woods: alto saxophone; Aralee Dorough: Flute: Dennis Dotson: trumpet; Thomas Hultén: trombone, tuba; Warren Sneed: tenor and soprano saxophones; Keith Vivens: electric bass (3, 7); Ray Wilson: guitar; Mike Mizma: vibes, pandeiro (2); Gary Mitchell Jr.: vocals and Hammond B3 (7); Timmie Bradley: vocals (7). BOB DOROUGH, born in Arkansas and “raised” in Texas, immediately fell in love with music upon joining the Plainview Texas High School Band. He served three years in a Special Services Army Band Unit, gaining much professional experience as arranger, clarinetist, saxophonist, pianist, and entertainer (1943-45). After earning a Bachelor Of Music degree at the University of North Texas (1949), he made a bee-line for New York City where he took classes at Columbia University and immersed himself in the volatile jazz scene then taking place there -the BeBop revolution. In 1952 he turned his back on the academic scene to devote himself to jazz performance, specializing in piano/vocals. After years of accompanying, conducting, arranging, and playing, he made his first recording as a leader (1956) for the Bethlehem label….DEVIL MAY CARE, having written the title tune three years earlier. He is known as “the only singer to record with Miles Davis” . While this may not be 100% true, he did record two vocals with Davis, in 1962, “Nothing Like You” and “Blue Xmas,” both of which he composed. In 1971 he received a commission to “set the multiplication tables to music.” This led to a small industry, being the beginning of ABC-TV’s SCHOOLHOUSE ROCK, Saturday morning cartoons that entertained and instructed unsuspecting children during the years 1973-1985. The impact of this media exposure was unpredictably immense. The show came back for another five years in the 90’s and is now enjoying its 30th anniversary with a DVD edition of the entire, five-subject series, for which Dorough worked as the Musical Director. In 2002 his trio was chosen to represent the State Department and Kennedy Center, as an Ambassador of Jazz and Blues. The one-month tour saw them play some 22 workshops and concerts in thirteen cities in six different countries. Currently Mr. Dorough is recording on Arbors, Candid and his own label. Bob Dorough continues to perform, often for children too, in Jazz Clubs and Schools, wherever he can.